MAYVILLE – The Greater Chautauqua-Jamestown Airport at Robert H. Jackson Field will get a new parking lot thanks to federal, state and local funding. 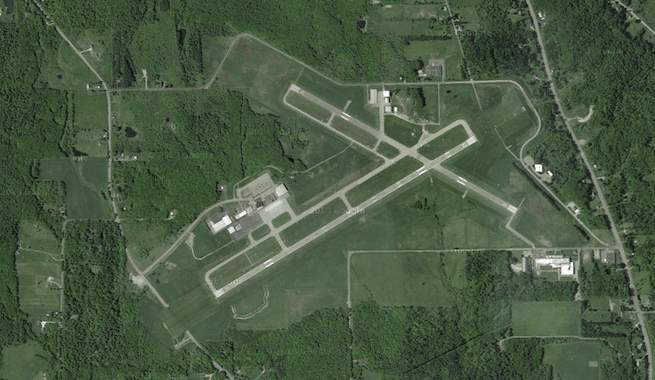 On Wednesday night the Chautauqua County Legislature approved federal and state funds for an airport parking lot rehab project. According to the Jamestown Post-Journal, the vote was 13 to 4, with legislators John Hemmer (R-Westfield), Ron Lemon (R-Frewsburg), Charles Nazzaro (D-Jamestown), and Bob Scudder (R-Fredonia) each voting against the measure. The total cost of the project is just over $850,000 and the county’s share of the project totals just over $21,000. The lawmakers who voted against the measure voiced concern about using local funding to pay for a project at the airport that has been under-utilized, with minimal usage by area residents and businesses. They also explained that by moving forward with the project, the county will be committed to keeping the airport open for the foreseeable future, even if it continues to be underutilized. County Executive Vince Horrigan says he supports the project and the county is in a mode to continue airline service. County lawmakers also approved an agreement with Wyoming County to house inmates. The rate per day within the agreement is $85 and the county will assume all medical costs for the inmates who are boarded in Wyoming County. Seven of the county’s inmates are currently located in the Wyoming County Jail.